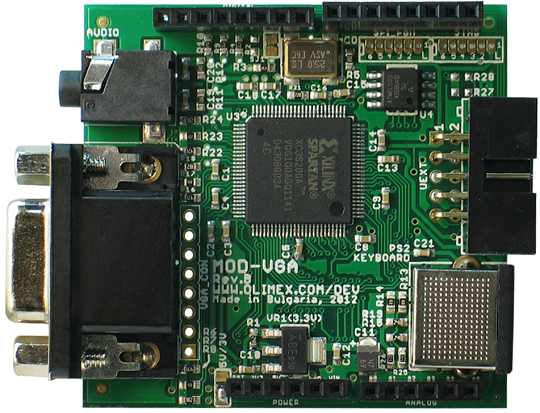 MOD-VGA-32MB is a 3.3V shield based on the popular Gameduino design. 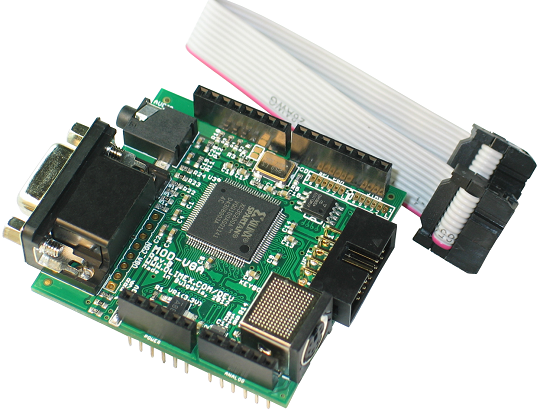 The little changes we made were to add a PS2 keyboard, a UEXT connector which allows all of our boards with a UEXT to connect to MOD-VGA and audio output. 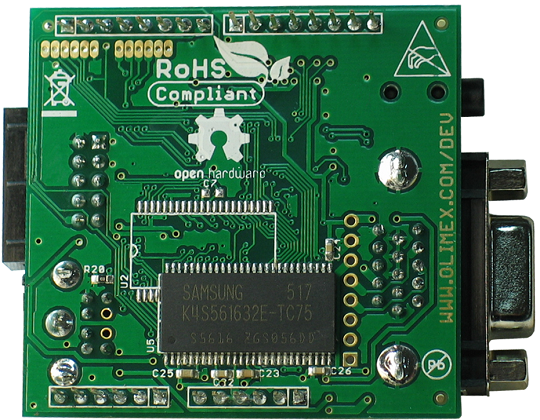 Also, we made a version with 32MB of SDRAM which allows higher resolutions than the original Gameduino design. Is this shield compatible with boards that operate only at 5V? Is it possible to use 5V SPI with this shield? No. This shield doesn't work with 5V SPI, it requires 3.3V SPI. You need to use level shifter to drop down the 5V SPI to lower level. The absolute maximum of the GPIO pins of the XYLINX Spartan-3A is 4.6V. Using 5V SPI logic you would damage MOD-VGA shield. How to use the additional memory? We don’t provide software support for this hardware feature! You would need to implement own FPGA firmware to make real use of the memory.